Please note that this current website does not have a shopping cart. 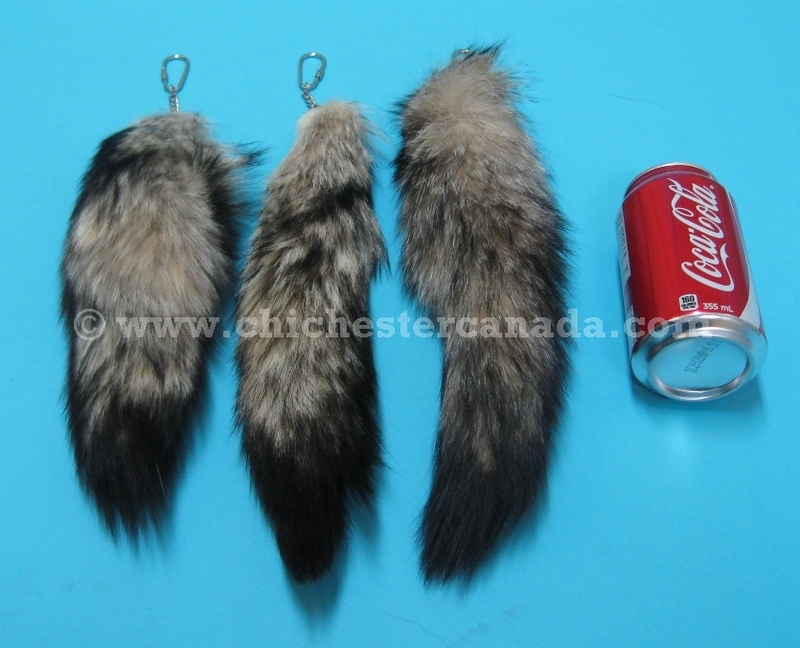 To buy our Fox Tail Keychain Gallery Items online, please go to our e-commerce website at NaturalExotics.ca. 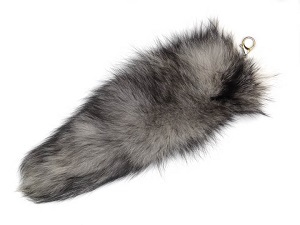 These keychains are made using real fox tails. They come in various lengths (see table below). 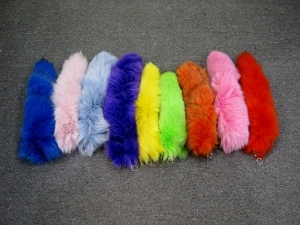 Please note, as these are natural products, the look and coloring will vary from tail to tail. 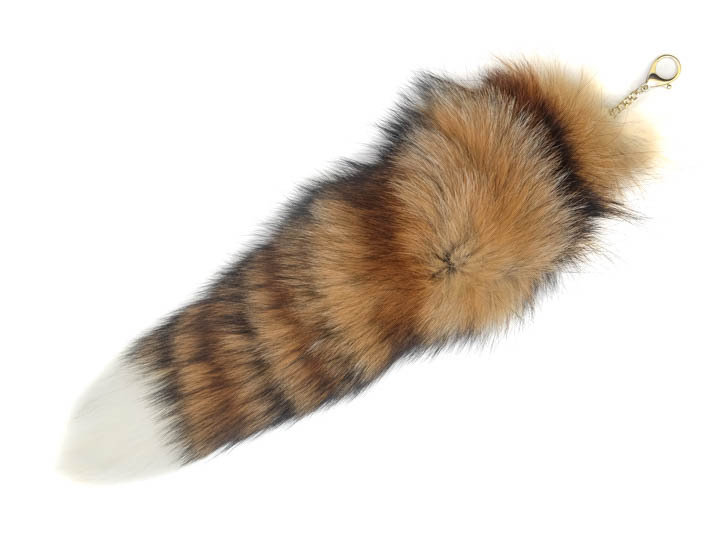 The tails for our premium foxtail keychains come from fashion-quality skins from Finland that sell for US$195.00 each or more. 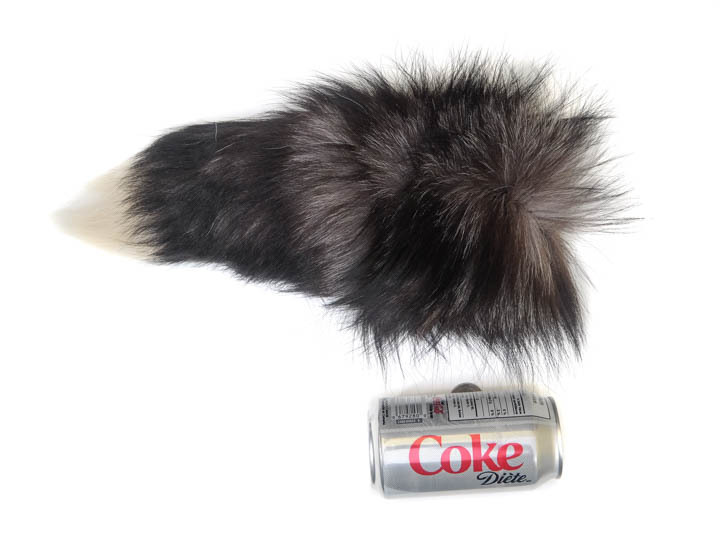 Long and plush, the natural white shadow fox tails average 10" to 16" long, while the dyed premium fox tails, made from blue fox tails, come in nine vibrant colors, averaging 13" to 18" long. Please see below for the available colors. 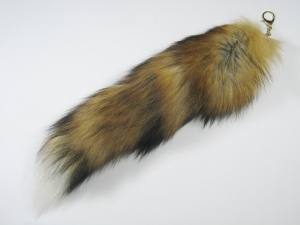 We also carry loose fox tails. Genus and species of Kit fox: Vulpes macrotis. Wild. Genus and species of Indigo and Silver fox: Vulpes vulpes. Ranch raised. 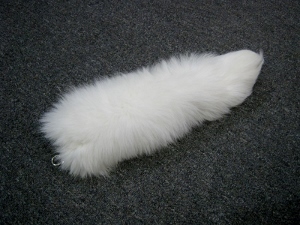 Genus and species of Blue and White Shadow fox: Vulpes lagopus. Ranch raised. 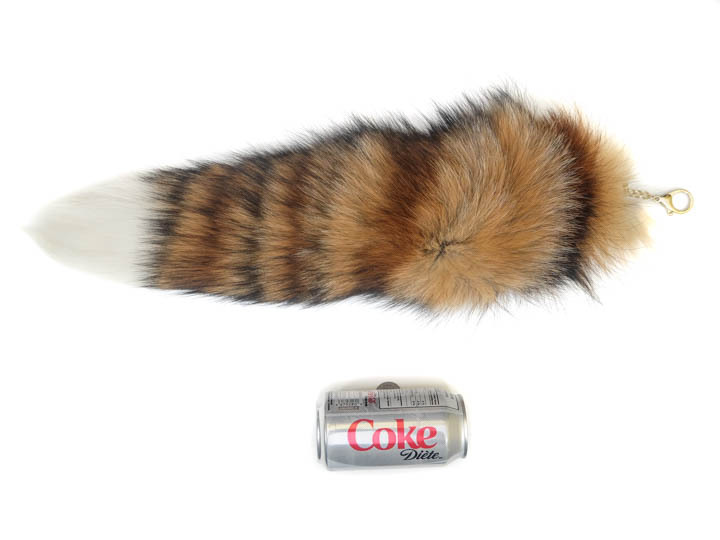 These foxes are not endangered and are not subject to CITES controls. 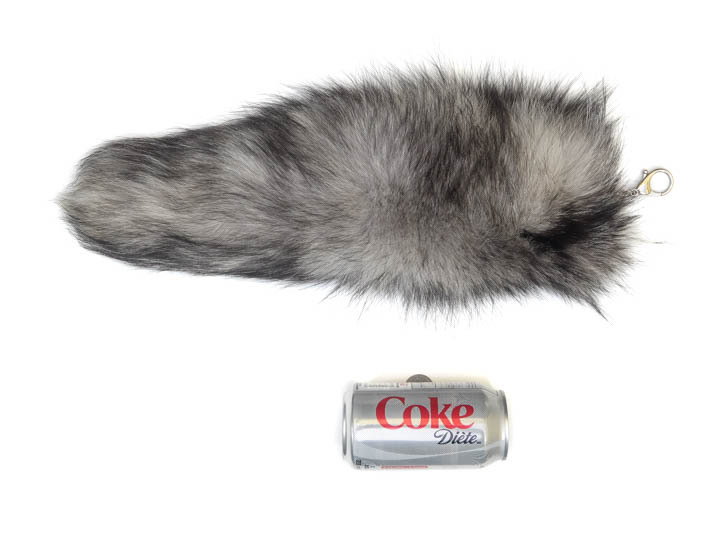 Kit fox tails are not for sale to the U.S.A.